The Eco Balance Commercial maintenance teams know how important the surrounds of any business is to both the investors and the guests visiting their premises. Well maintained and flourishing gardens create a very good first impression and that is why care has to be given to these areas. Proactive maintenance of commercial gardens ensures that the gardens provide relevance to the business as they grow, mature and flourish. Well maintained landscapes around commercial enterprises add enormous value by making the environment feel safe and welcoming, creating a peaceful and serine feeling – visitors will be encouraged to return. A well maintained garden grows and increases in value with time. Protect your investment with a professional garden maintenance plan. Eco Balance offer an all-inclusive garden maintenance service. Meaning all chemicals and garden feeding are included in our contracts. Feeding a garden during the aggressive summer growth periods is a pre requisite to garden success. Maintaining a garden is no joke! In our busy world our homes become our sanctuaries. 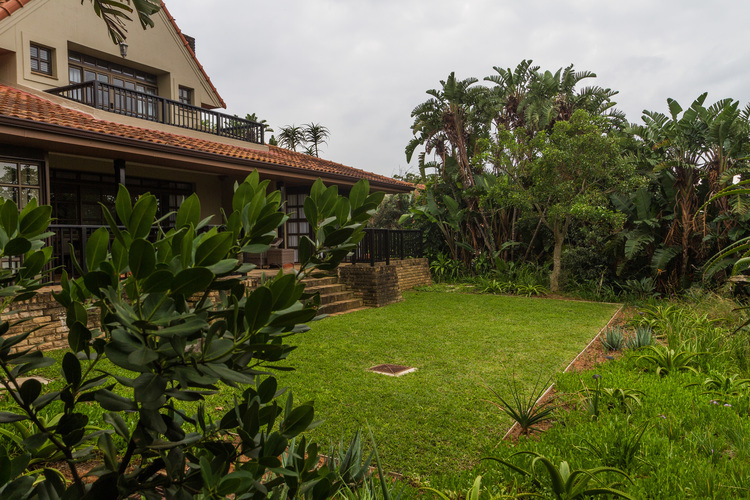 Coming home to a well maintained property and garden adds enormous quality of life to owning a home. Eco Balance makes owning a garden a pleasure for you. You can feel happy to share your garden with family and friends any time because you know it is looking great and is flourishing under the Eco Balance garden maintenance team.